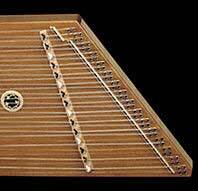 We’ve happily stocked hammered dulcimers from Dusty Strings since about the dawn of time. Dusty Strings builds instruments that are great sounding and, even better, structurally stable, so you won’t have to tune your instrument every time you turn around. Also check our selection of Other Used Instruments where we’ll list used hammered dulcimers when we have them.